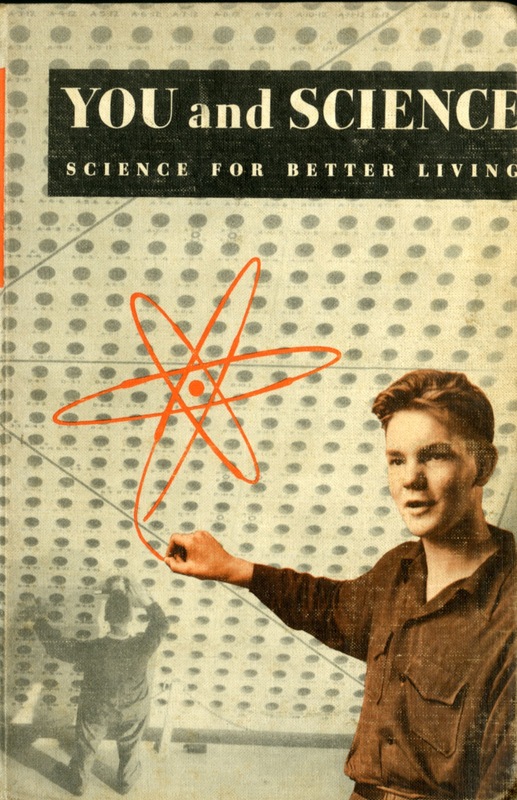 Don't you love a science textbook with an atomic reactor on the cover? 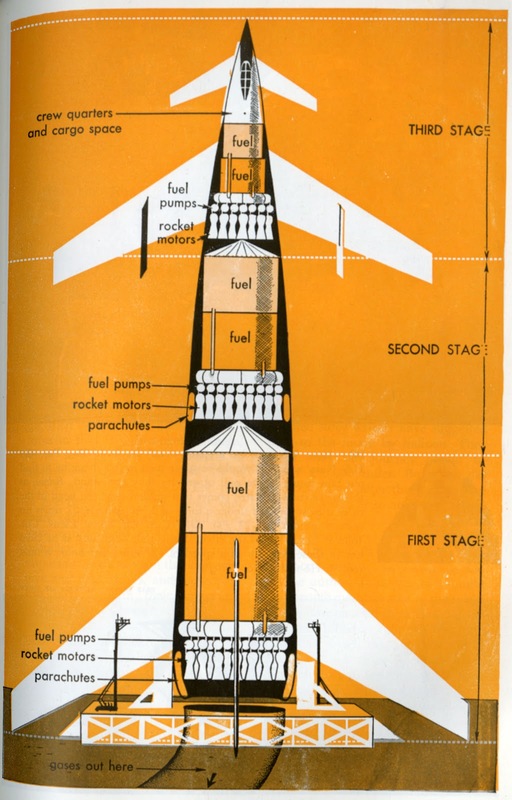 As part of our brave new age of atomic power was getting science into school. 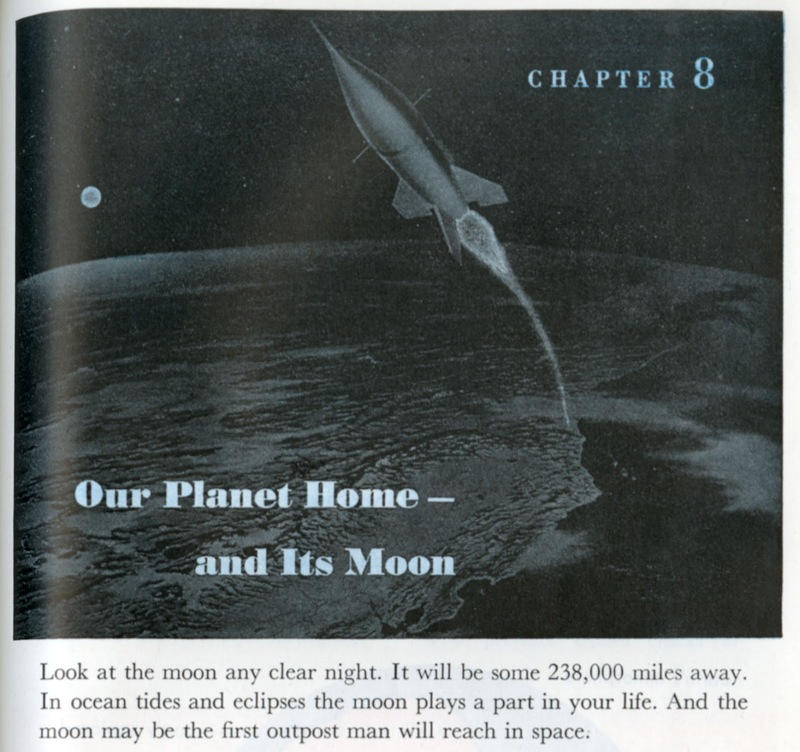 This was a high school textbook which included some interesting text and illustrations about space flight. Brandwein, Paul Franz. You and science: Science for better living. New York : Harcourt Brace & Company, 624 p. 1955. 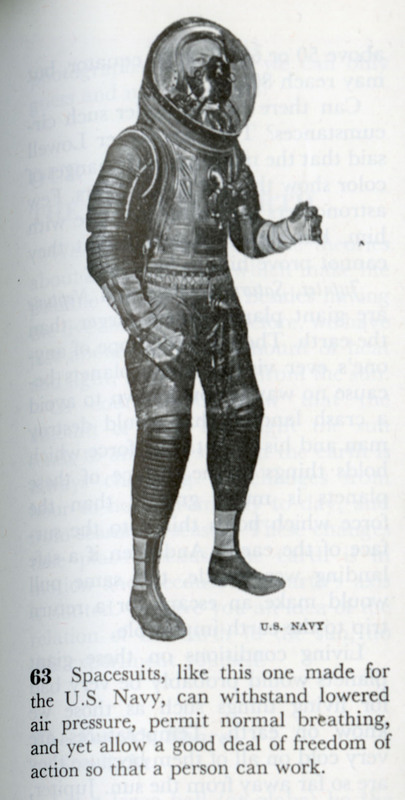 First off was the widely known naval spacesuit. Chapter 8 had a few illustrations about our home planet and this really funky illustration how everything moves through space. 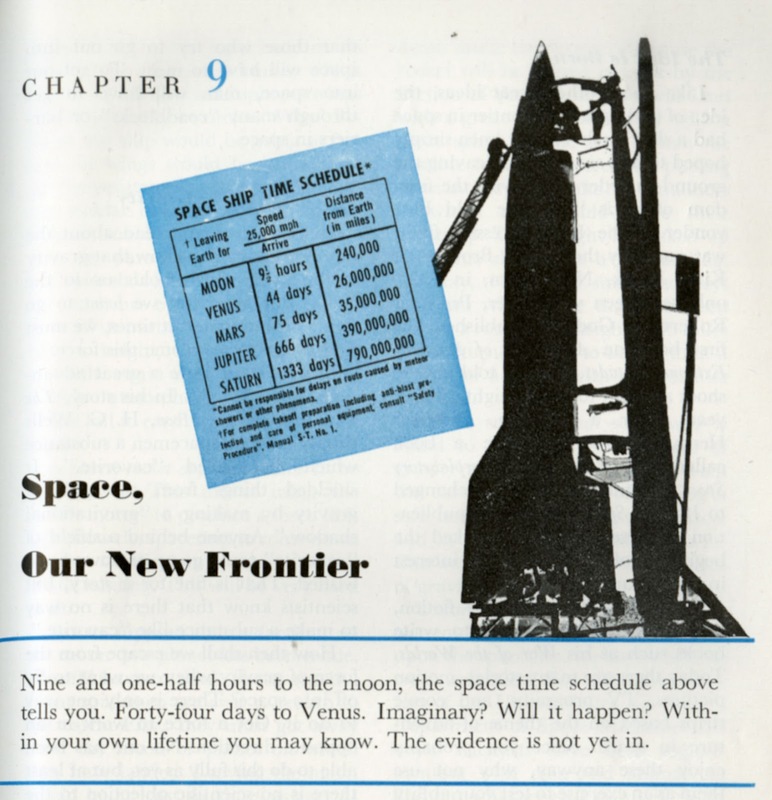 And of course was the chapter "Space, Our new frontier". 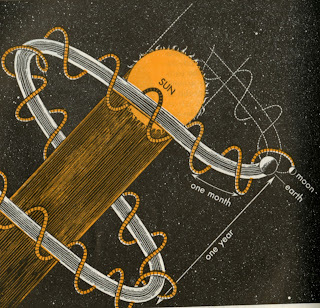 It is not enough to say that space is a new place for man to explore. Space travel was the next railroad. We would tame this frontier and make the rockets run on time. 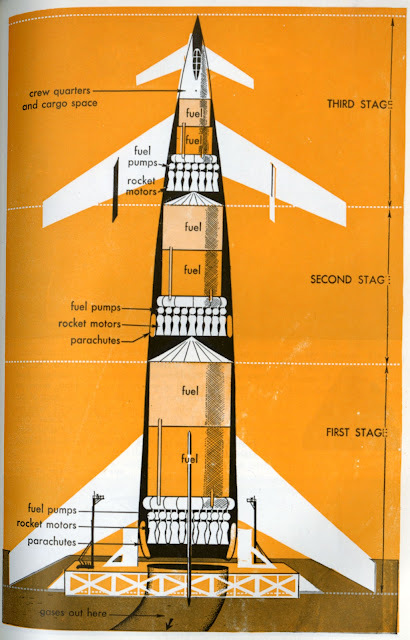 This Rolf Klep illustration done originally for the Collier's series was a great way to suggest that the plans for the rocket were already done, we just hadn't gotten around to building it yet. 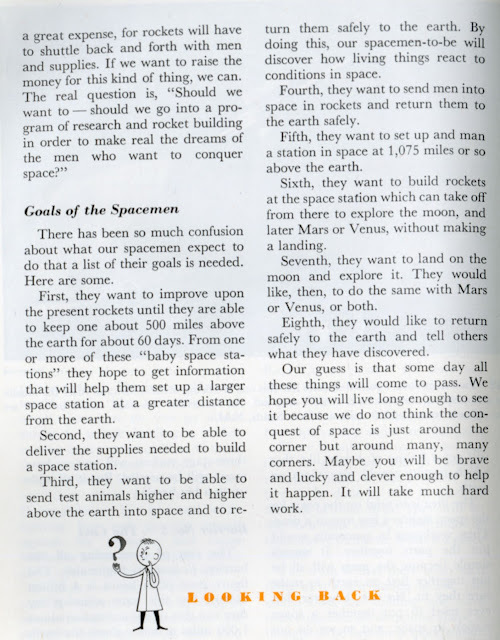 I don't usually post text from these books but the discussion of how soon this will happen and how much it will cost illustrates that the "space agenda" was being actively taught long before the general public was thinking that this was possible. 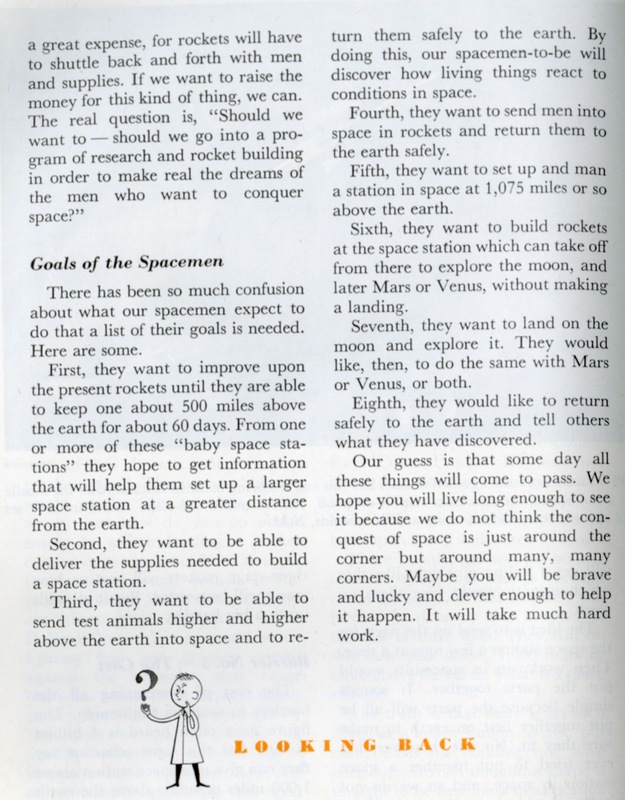 I specifically like "the goals of the spacemen"
"Our guess is that some day all these things will come to pass. 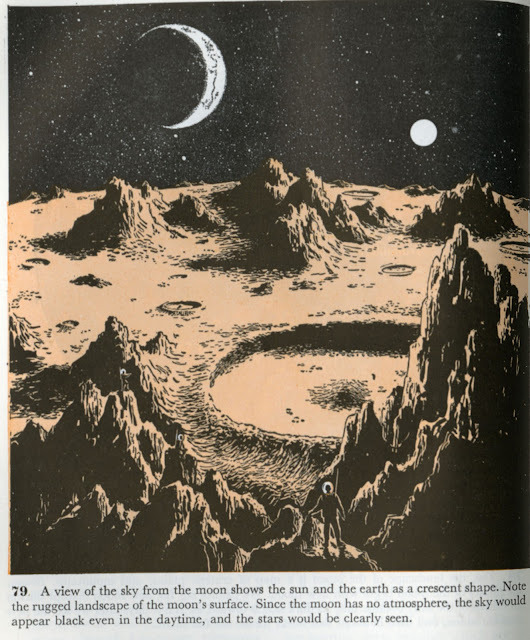 We hope you will live long enough to see it because we do not think the conquest of space is just around the corner but around many, many corners. Maybe you will be brave and lucky enough and clever enough to help it happen. It will take much hard work."